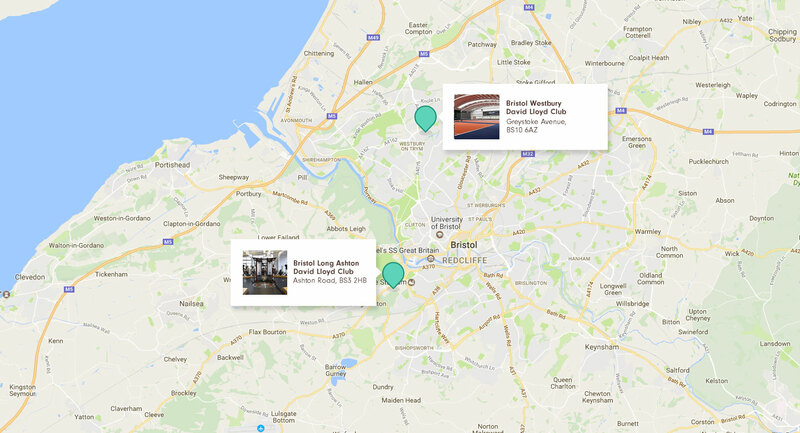 David Lloyd Clubs have two premium gyms in Bristol, one in the northern district of Westbury, the other located in Long Ashton, near the University of Bristol. As always, our Bristol clubs have impressive facilities including state-of-the-art gyms boasting the very latest equipment; we have spacious group exercise studios as well as both indoor and outdoor heated swimming pools. Racquets players will also not be disappointed, each of our Bristol clubs offering a selection of tennis, badminton and squash courts, both inside and out. It’s important to remember, however, that our Bristol clubs are not just places to feel the burn. Welcoming staff, comfortable facilities and a friendly atmosphere, why not come and enjoy our café, bar and lounge areas? And don’t forget to find out about our family-friendly facilities, classes and workshops. We have something for all the family! If you live in Bristol, we’ve got you covered. Explore our clubs to find out which one is perfect for you and your family. At David Lloyd Bristol Long Ashton we pride ourselves on offering great gym and club facilities. At David Lloyd Bristol Westbury we offer a range of gym and club facilities for you to enjoy.